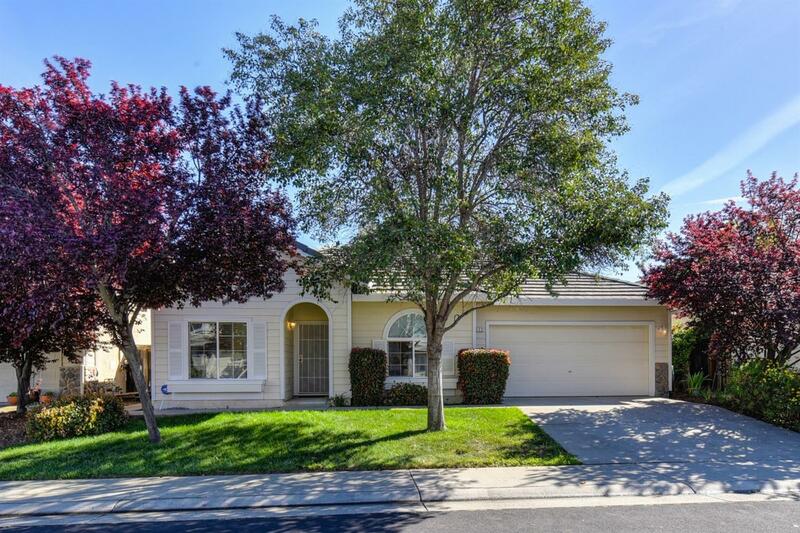 Move in Ready home with a bright open floor plan in the heart of Folsom. Living & dining area with high ceilings, two-toned paint & plenty of natural light. Kitchen features breakfast nook, built-in desk, wood flooring & pass thru to formal dining. Master suite with double door entry & large walk-in closet. Master bath features dual sinks, walk-in shower, stylish lighting & additional linen cabinet. Secondary bedrooms with convenient pass thru bath. Upgraded light fixtures & newer carpet. Low maintenance backyard with patio & garden area. Excellent location near shopping, restaurants, schools & employment. Fridge included. Hurry, this home won't last long!